U.S. District Judge Amos Mazzant on Thursday dismissed the case "with prejudice," making a final judgment on the charges that had been brought by the U.S. Securities and Exchange Commission. Mazzant first threw out the charges last year but gave the SEC the opportunity to file amended allegations — which it did in October, keeping the case alive. Paxton is accused of misleading investors in a company from before his time as the state's top lawyer. He is fighting similar, criminal charges at the state level, where he is set to go to trial in May. That case is more serious, holding the potential for a sentence of up to 99 years in prison. Paxton cheered Mazzant's ruling as validation of his theory that the allegations at the heart of both cases are a revenge plot by enemies he made during the 2014 attorney general primary. "I have maintained all along this whole saga is a political witch hunt," Paxton said in a statement. "Today’s ruling to dismiss the charges with prejudice confirms that these charges were baseless when the SEC initially brought them and they were without merit when the SEC re-filed them. Someone needs to hold the SEC accountable for this travesty." "This case has not changed since the Court conditionally dismissed the Commission’s Original Complaint," the judge wrote. "The primary deficiency was, and remains, that Paxton had no plausible legal duty to disclose his compensation arrangement with investors." 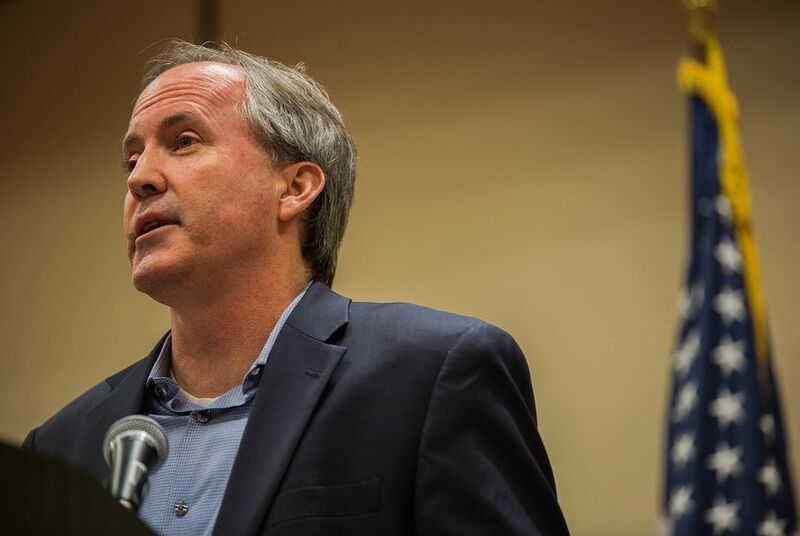 The dismissal is Paxton's biggest win yet in the protracted legal saga, which began in August 2015 when, several months into his first term, the attorney general was indicted by a Collin County grand jury. The SEC brought its case in April of last year. A trial in the state case is scheduled to begin May 1 in Collin County, though prosecutors are pushing for a change of venue, arguing Paxton and his allies have tainted the jury pool. At a recent hearing, the presiding judge said he would like to at least try to pick a jury in Collin County. Paxton's team has long maintained that their victories in the SEC case would spell doom for the state charges, where prosecutors face a high standard for proving the attorney general's guilt. "We are now focused on Ken Paxton’s full exoneration in the state matter, where the special prosecutor's burden is even higher and the fraud allegations in the SEC case mirror those in the state case," read a statement Thursday from Paxton lawyer Bill Mateja. At a recent tea party event, attendees were urged to call state District Judge George Gallagher's office and tell him to drop the criminal case against Paxton. Last month, Paxton became the first state attorney general in the country to file a brief backing President Donald Trump's controversial travel ban.